Who Else Joins Sonic Colors on the DS? 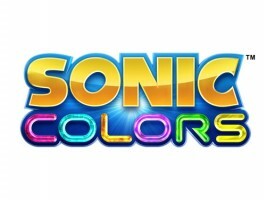 Several reports indicate the DS edition of Sonic Colors has now suffered the same fate as its Wii counterpart, as a combination of ROM leaks and early pre-order releases in Europe have triggered a second wave of new information–including the supporting cast in cutscenes. Though none are playable, a wide variety of friends beyond the already confirmed Amy and Knuckles make appearances, including Shadow, Silver, Omega, and all but one of the Chaotix–sorry, Mighty the Armadillo fans. There are also some appearances you may not have expected, including Big the Cat and Chao. In all they join Rouge, Cream, Tails, and complementing the expected voices of Orbot, Cubot, Eggman, Wisps, and Yacker, it totals nearly 20 characters. But again, don’t expect any of these to be playable characters. You’ll only see them in cutscenes, as demonstrated in the gallery below. Russian Sonic scener Woun ripped several shots from the cutscenes, and if seeing their faces isn’t proof enough, perhaps the Youtube embed that precedes it will. A voice rip shows off all available voices used for Sonic Colors DS, including the aforementioned. So take a look and a listen; for many, Friday and Tuesday can’t come soon enough. Generations 3DS’s Green Hill at PAX: New and Improved?